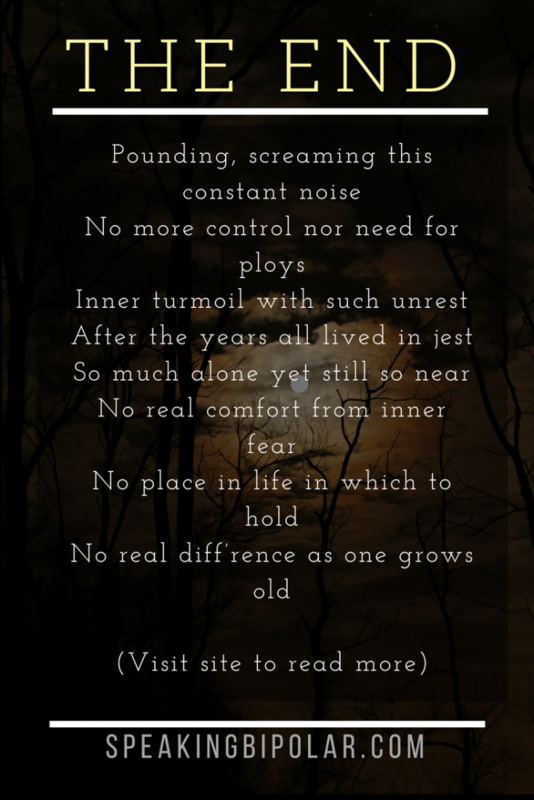 I have agonized a little about sharing this poem. It’s been on my mind quite a bit, especially with the recent celebrity suicides dominating the news headlines. 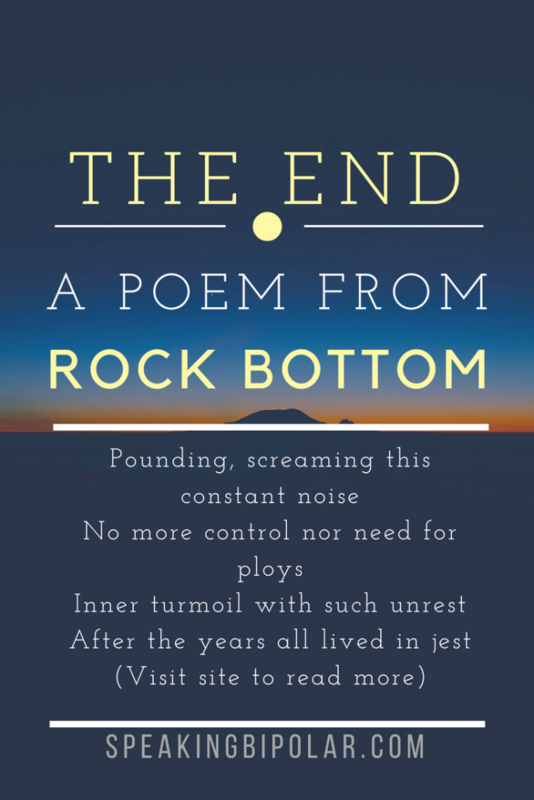 The poem is dark, so it may not be the best read for everyone, especially if you are already feeling down and depressed. However, my number one purpose in starting this blog was to help start the conversation about mental illness. It’s a sad fact, but suicidal thoughts are a huge part of many of these disorders. Even when they don’t talk about it, many mental illness warriors deal with these thoughts every day. In addition, it is important to me that I open up about my story. How can I expect others to open up if I am not willing to do the same? This is part of me opening up. 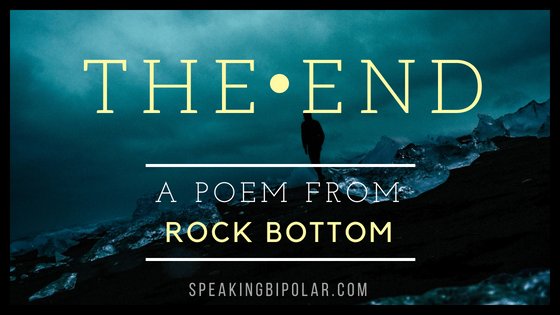 While this poem was written while I was at my lowest, I am living proof that you can survive, and in fact thrive, after reaching rock bottom. Sometimes you just need a little inspiration to get you back on your feet as I write about in my How To Get Back on Your Feet post. At the time I wrote this poem, I truly planned to end my life later that night. I am so thankful I didn’t. IMPORTANT: Suicide is never the right choice or the best option. IT IS ALWAYS A MISTAKE. If you or a loved one are dealing with thoughts of suicide, get help immediately. Even though right now you may feel like you have no one to turn to, there is always help to turn to. You can call the National Suicide Prevention Lifeline Phone Number 1-800-273-8255 in the United States or a similar organization in your country. Trained professionals can help you to get through the darkness. If you have trouble finding a number, contact the emergency services number for your home area. Remember, it does get better. Never give up. As you can see, this poem was written over 20 years ago. I made the right choice and chose to keep living. The sun always rises. If you are dealing with the darkest night right now, hold on. The sun is coming. You don’t want to miss it. If you connect with this poem, please share it with others.